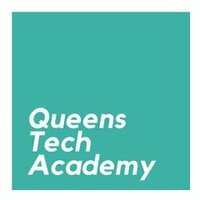 Queens Tech Academy offers 12-week, part-time bootcamps in web and iOS mobile development in New York City. In order to provide students with a well-rounded opportunity, courses are designed to teach the foundation of evergreen web technologies along with the fundamentals, skills, and tools needed to create iOS mobile apps. Students who attend Queens Tech Academy don't have to quit their day job due to the part-time weekend structure. Instructors are all industry experts that have many years working in their respective fields. The programs all maintain a low student to instructor ratio to ensure a productive and hands-on learning environment. For the rolling admissions process, candidates are evaluated based on their abilities to solve problems, motivation to learn, and ability to collaborate. Candidates will participate in an online assessment regarding previous coding experience, skill level, and a code challenge; followed by an in-person interview. The Queens Technology Academy at The Austin Space is a unique and rewarding educational experience that focuses on education outside of the traditional classes and/or day jobs. Amazing iOS program with a great instructor! I took a class at the Austin Space this past fall and all I can say is that this space is AMAZING. In addition to being in a super trendy area and being an immaculate space, the teacher Benny Tan is outstanding. I was enrolled in his iOS Development course, and he was a fantastic teacher and mentor. I walked into the class with not that much coding experience, and within 3 short months now find myself able to program full, complex iOS apps. His class was engaging and he was able to simplify concepts into digestible bits of information that I could practice and master on my own time. He made me feel very comfortable, always asking me if I had any questions to ensure I was on pace with the curriculum. He was also diligent, organized, and ensured we covered every bit of material listed on the course syllabus. I would HIGHLY recommend any class taught at the Austin Space. I'd sign up for a course if you haven't done so already. An email with these details has been sent to Queens Tech Academy. You've already applied to this scholarship with Queens Tech Academy.